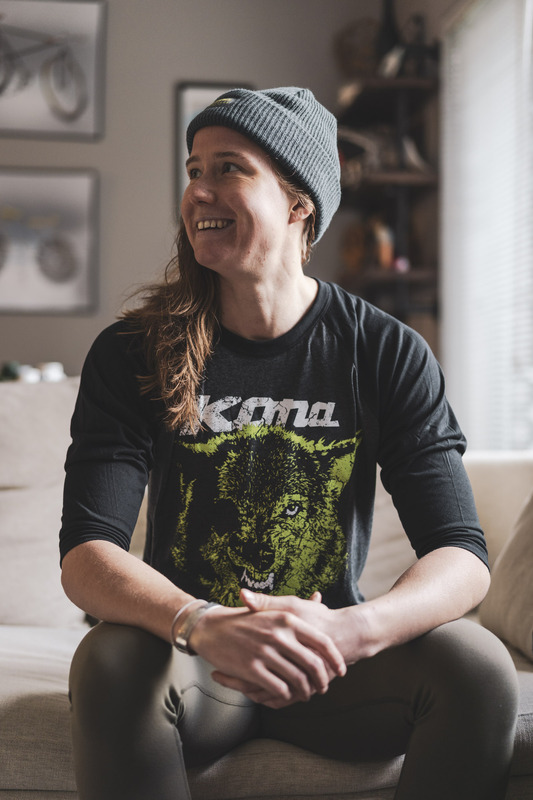 Matt Harris is no stranger to Kona. 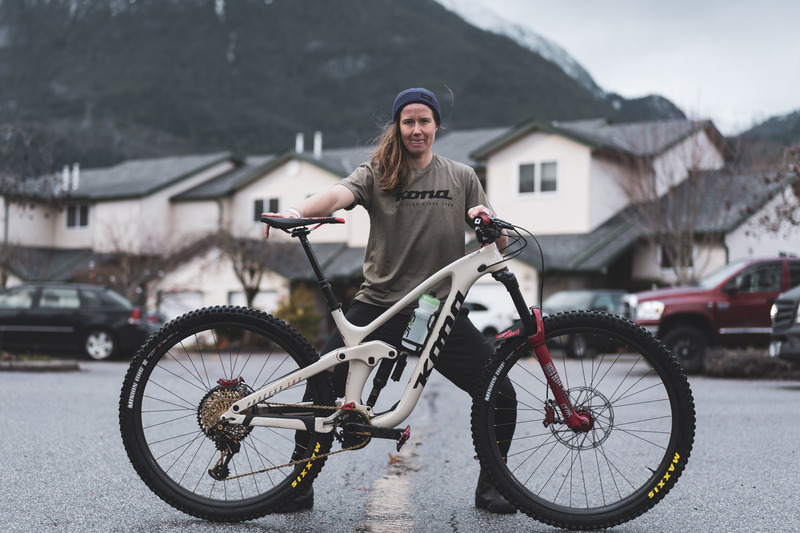 Before immigrating to Canada he was one of New Zealand’s OG freeriders pioneering massive drops and super tech lines in and around his home town of Auckland on his old Kona Stinky. 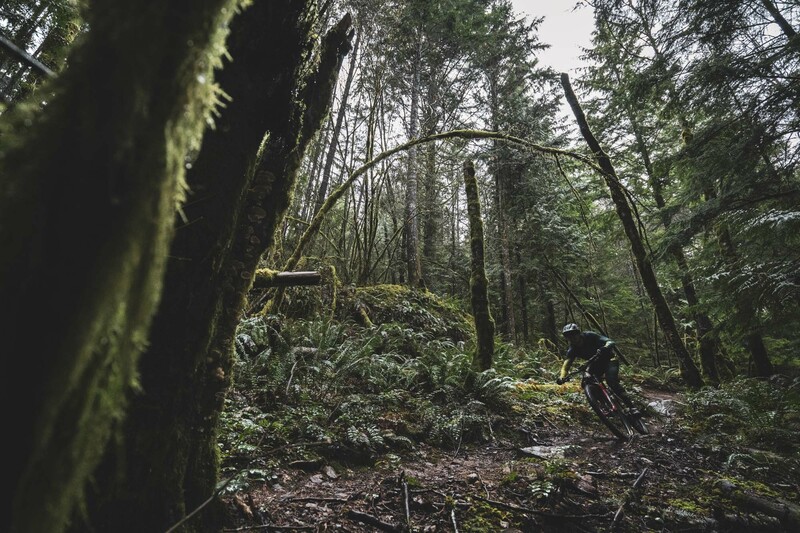 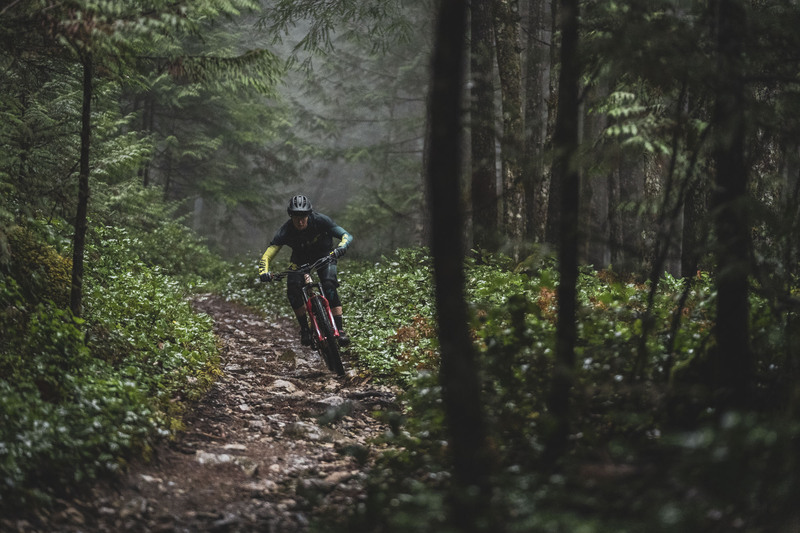 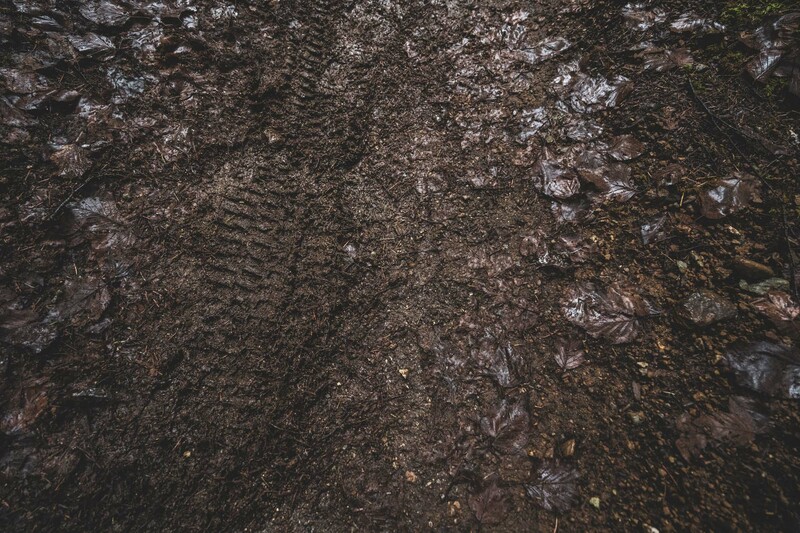 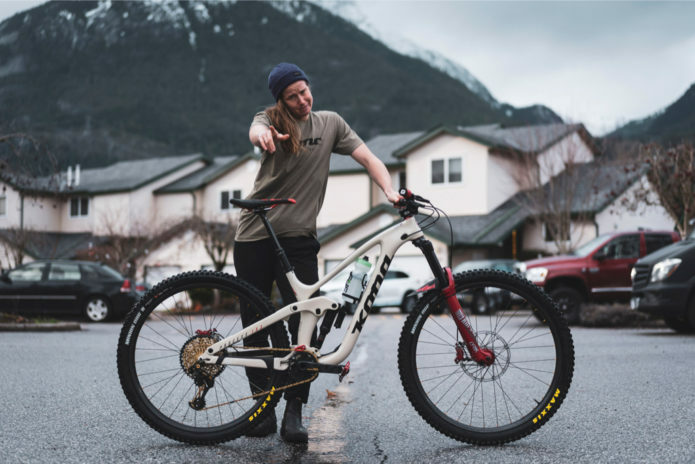 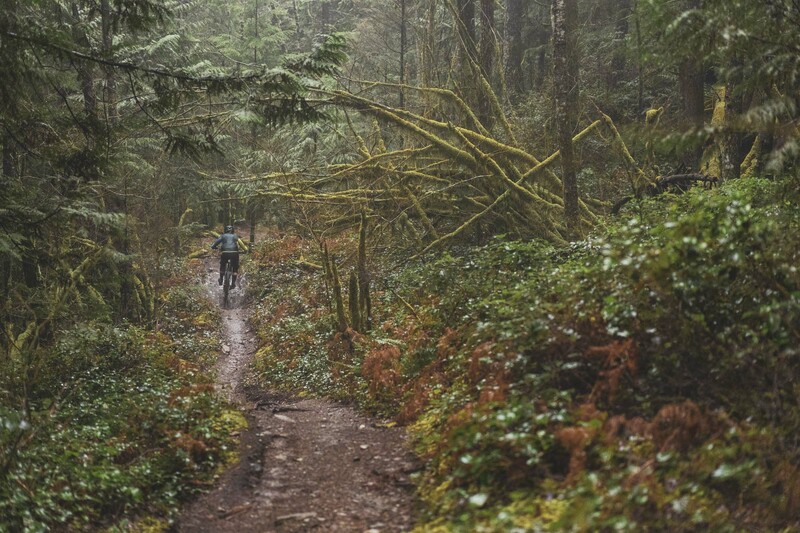 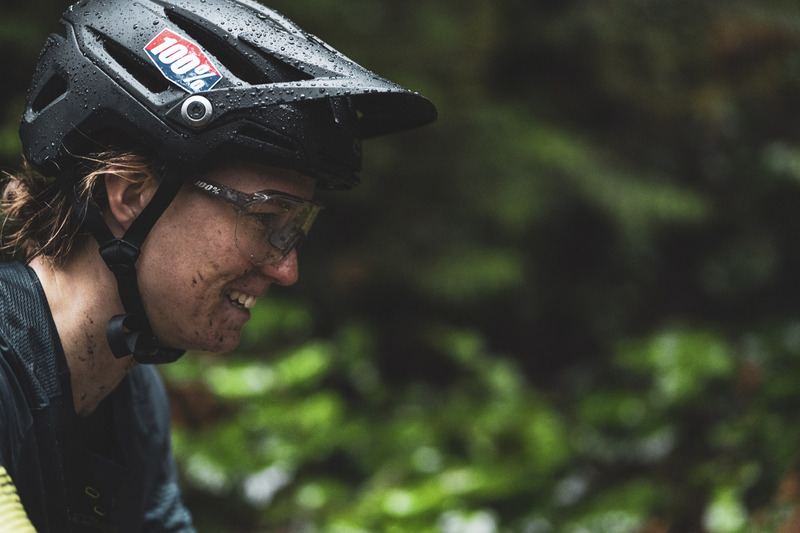 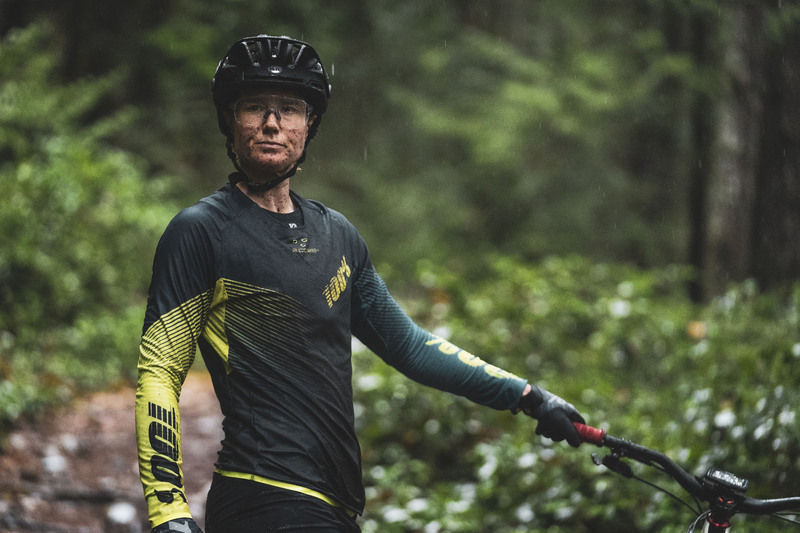 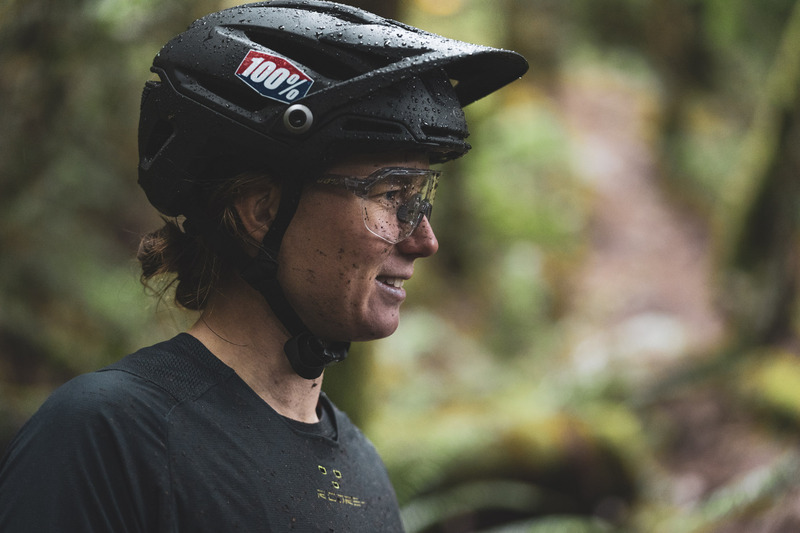 These days he splits his time between slinging icecreams with his wife Katie at Squamish institution Alice and Brohm and trail building on the Sunshine Coast. 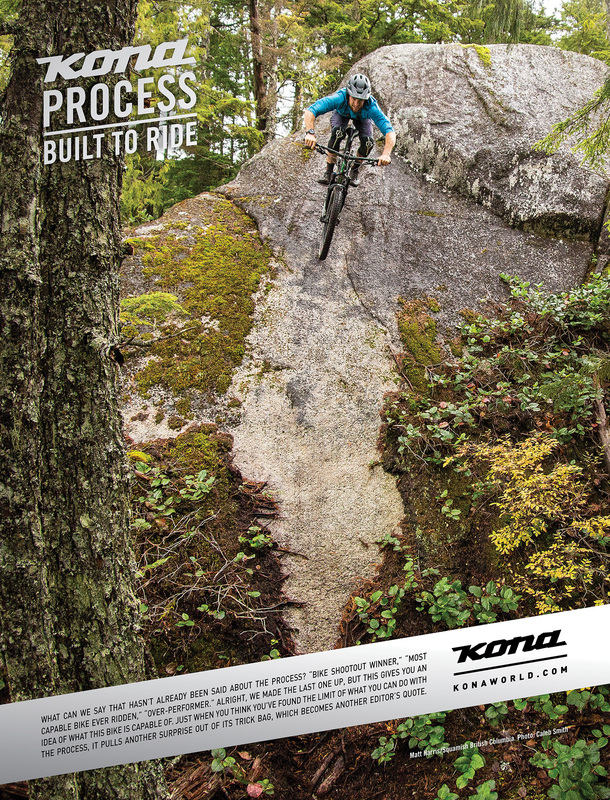 The guy still shreds on a bike, in fact, we featured his alloy DL Process on Kona Dream Builds a little while back and you may have even seen him in a Kona Process advert back in 2017! 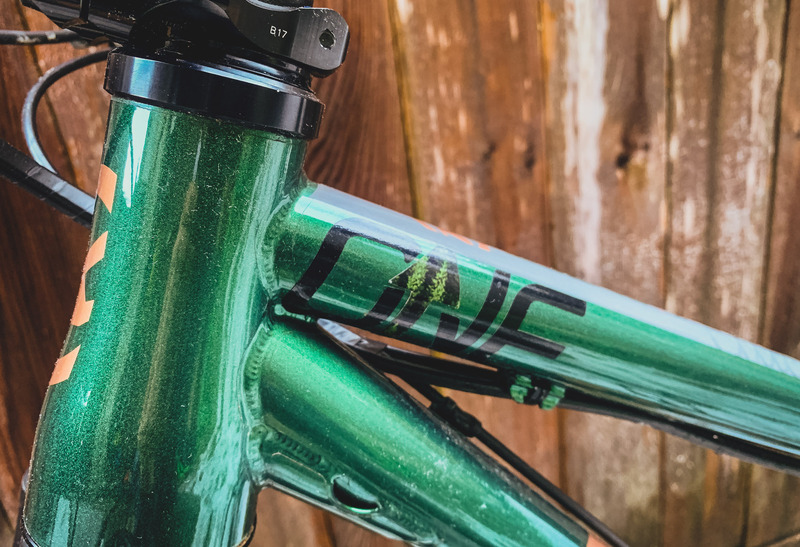 Anyhow, he’s had a Honzo in his quiver for a quite a while, but decided it was time to update his old non-boost version for the latest 2019 frame. 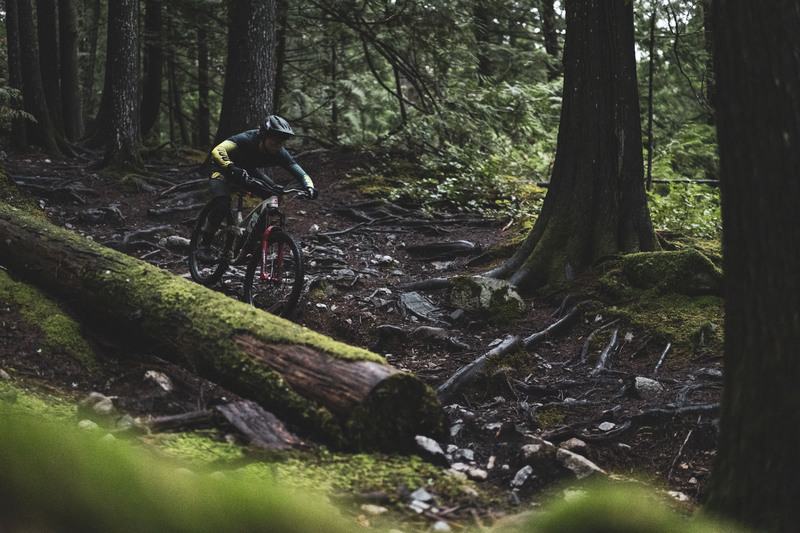 Matt and his Honzo can definitely see the forest AND the trees. 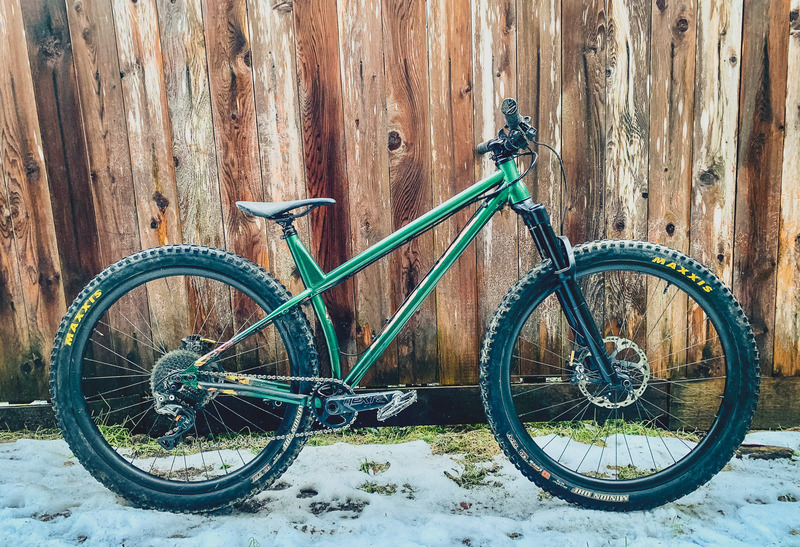 Like Matt, this bike is a brawler. 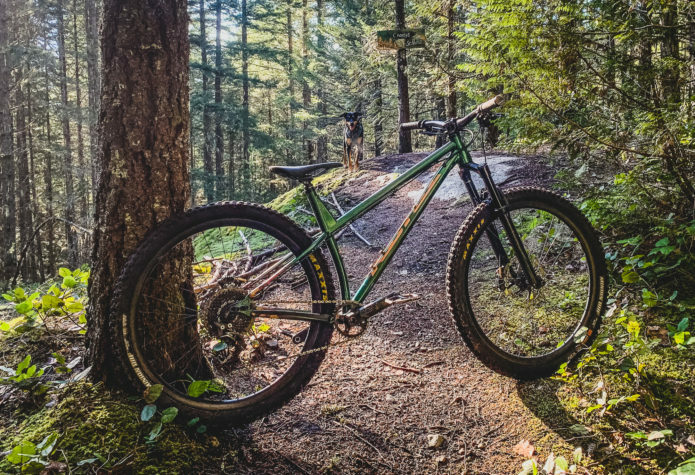 Matt can ride faster than you can on this hardtail and that ain’t no joke. 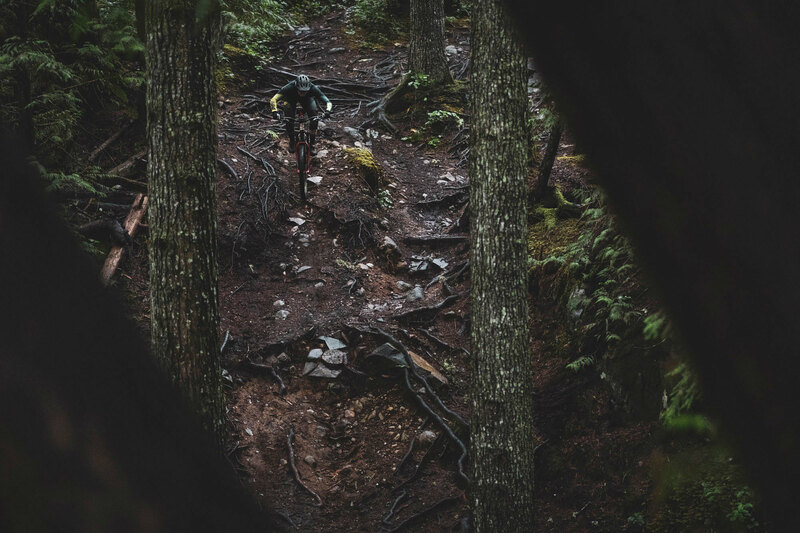 Long high speed days in Squamish require a solid build and Matt kicks that off with a set of Light Bike carbon rims laced to a set of Industry 9 Torch hubs. 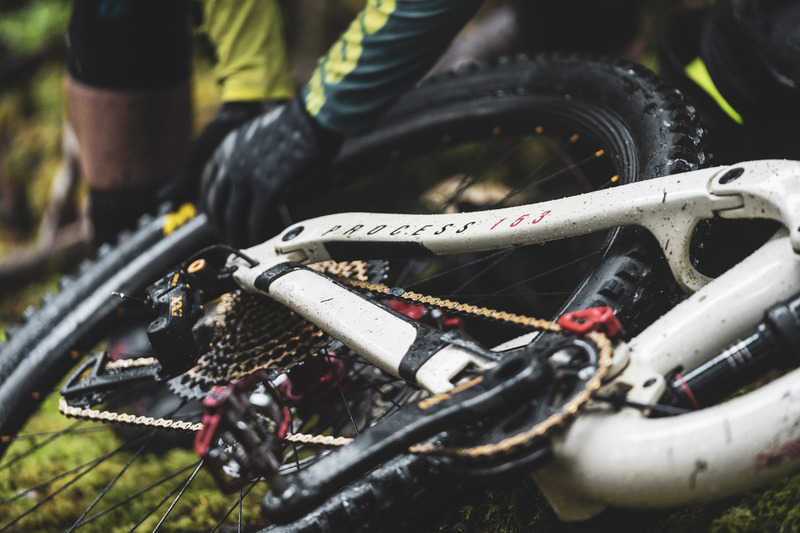 The fork is a 130m Pike with One Up’s tool-less axle. 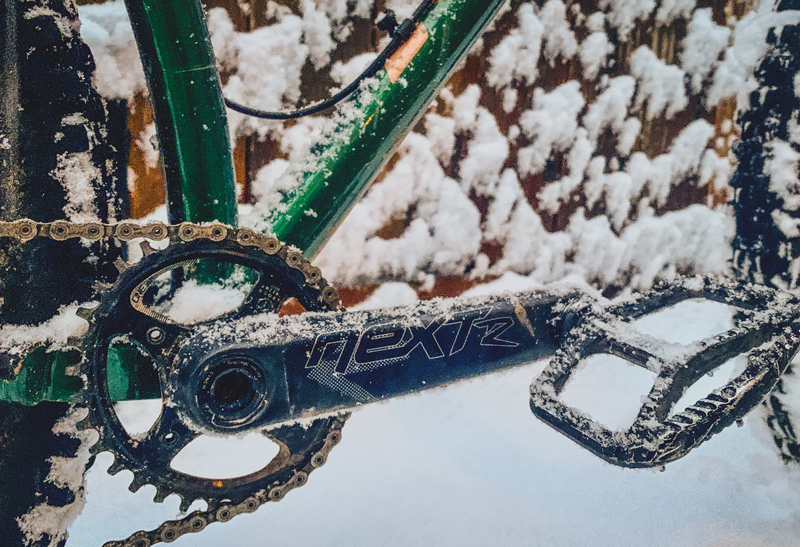 A long time Shimano fan Matt is running XTR out back. 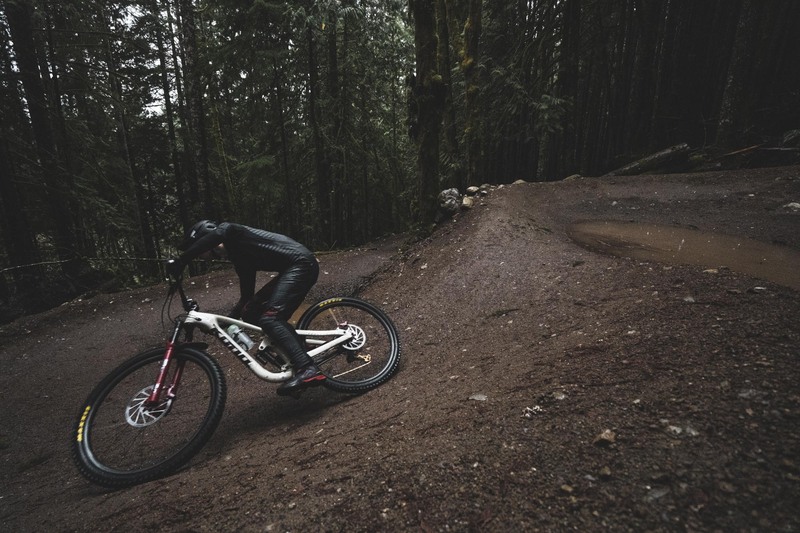 And a Race Face One-Up combo up front. 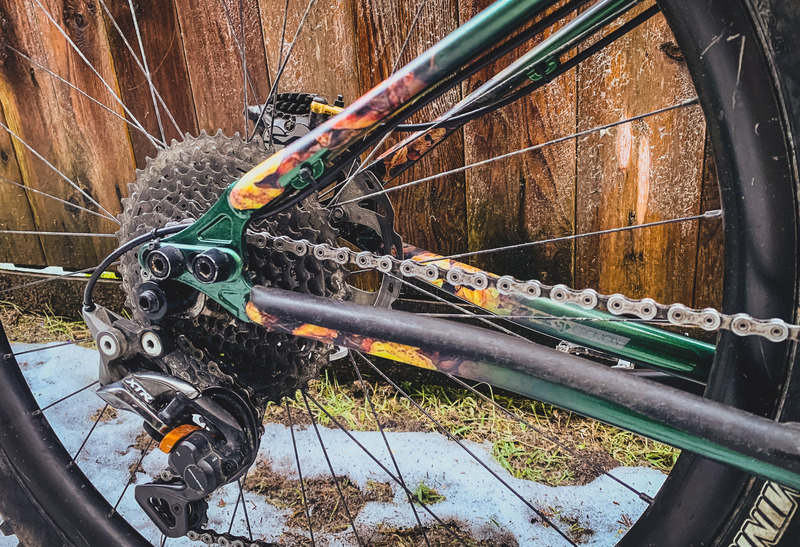 You can’t see the Hope sealed bearing 30mm BB but you can see the One Up alloy pedals. 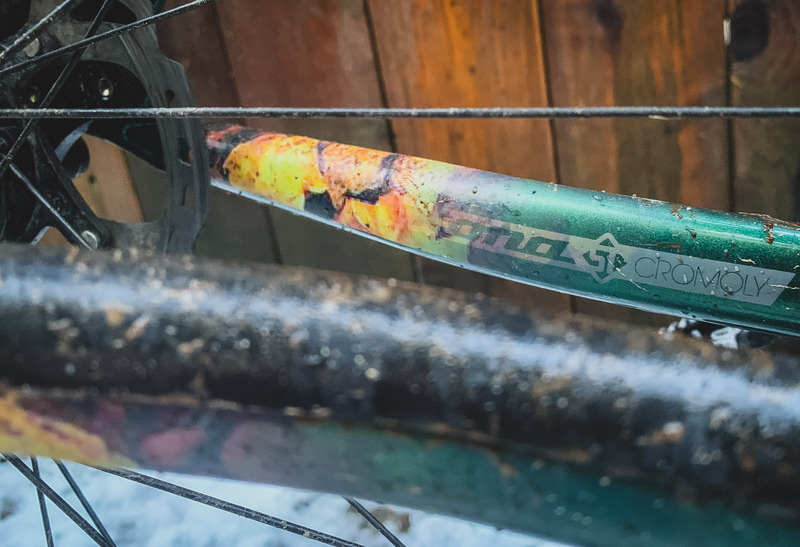 Keeping things local Matt has matched the best stem in the world (a 32mm Race Face Turbine R) with a Chromag BZA bar. 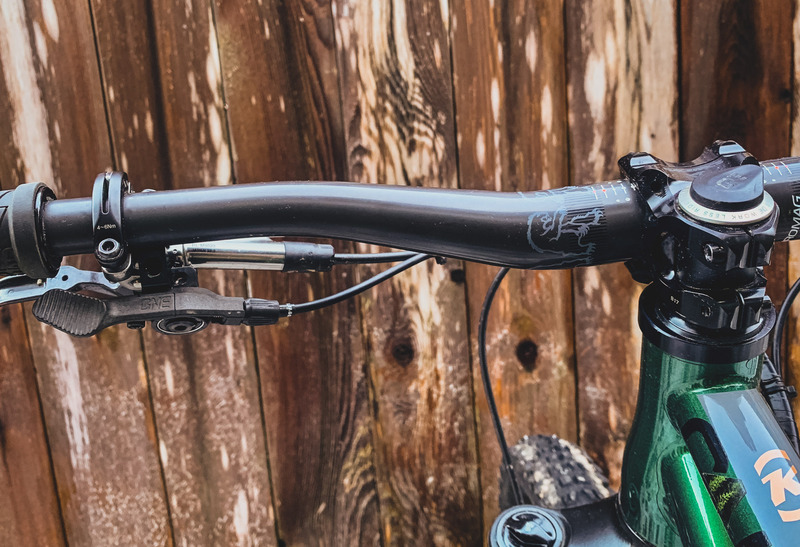 Stopping is again a Shimano affair with XTR levers upfront. 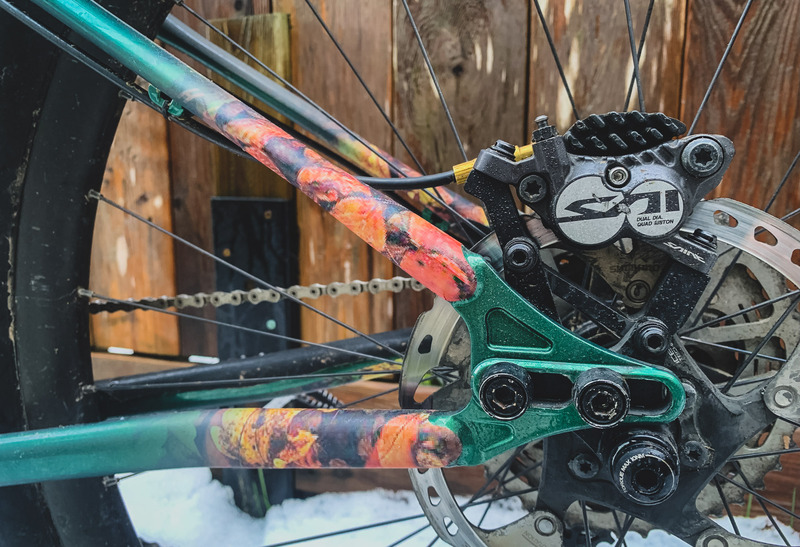 And Saint calipers out back. 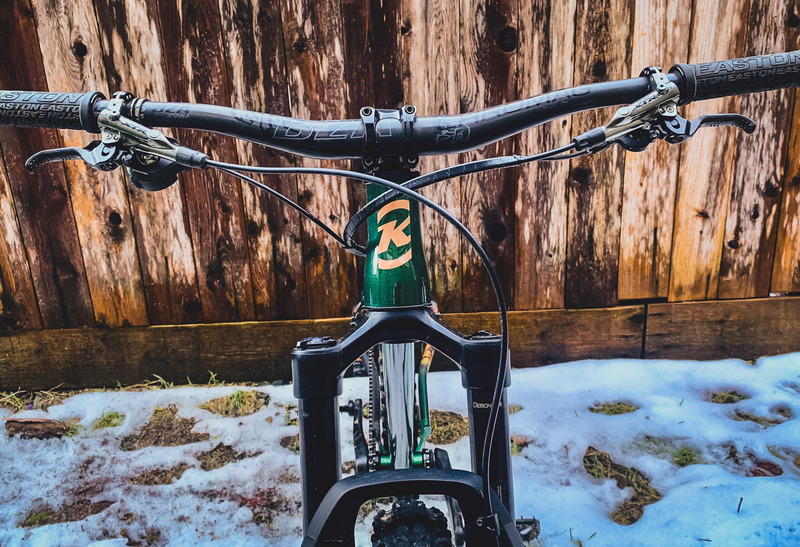 Matt loves his one off decals and before having the whole thing custom wrapped by Ride Wrap in Whistler, he made a bunch of custom graphics. 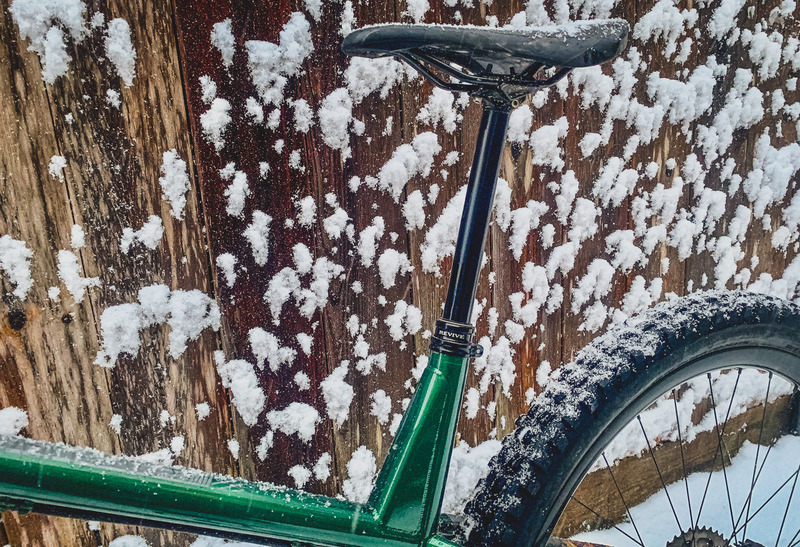 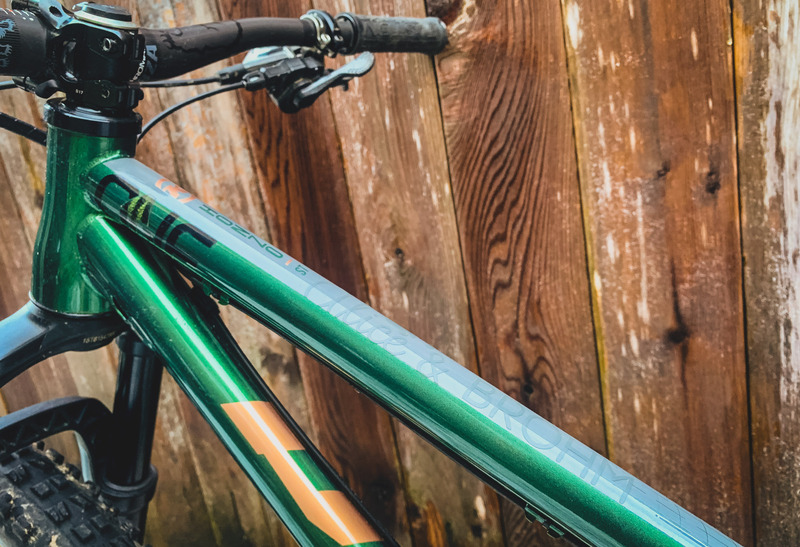 For more rad custom Kona bikes, check out our Kona Dream Builds archives and the #KonaDreamBuilds tag on Instagram. 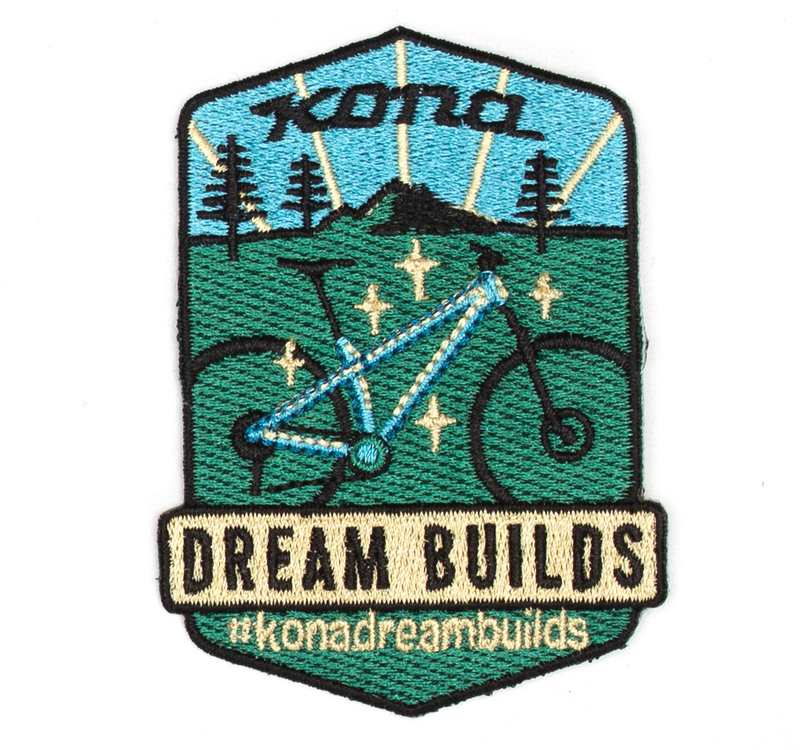 If you have a custom Kona that you think deserves to be featured on the Kona Cog simply tag it on Instagram or Facebook with #KonaDreamBuilds, if we select it you’ll also get one of these super sweet Kona Dream Build patches in the mail!